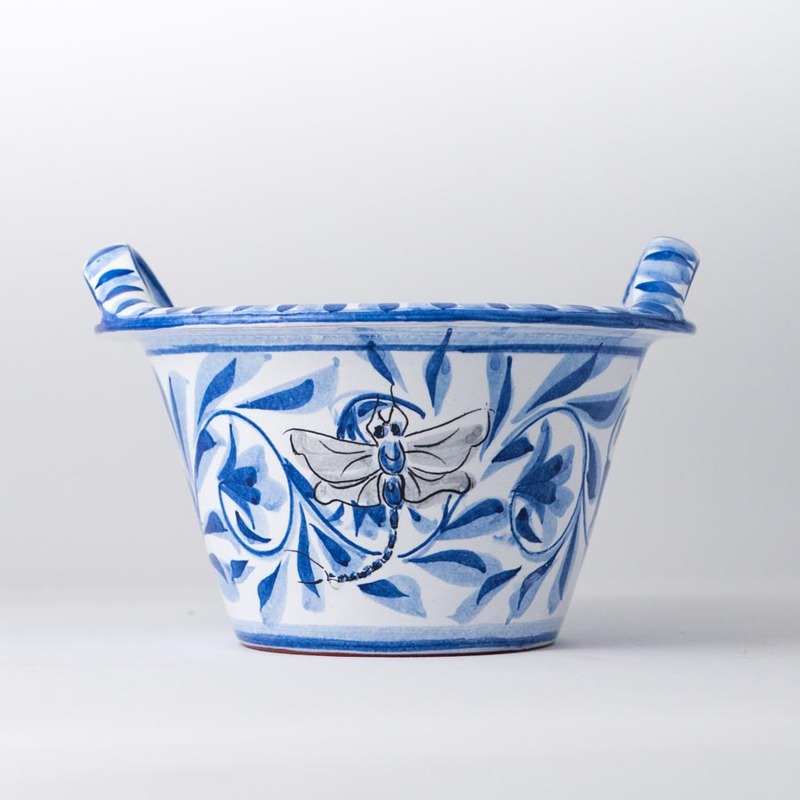 A two-handled basin shaped bowl with a blue decoration that includes dragon flies, painted by Carmo dos Santos. 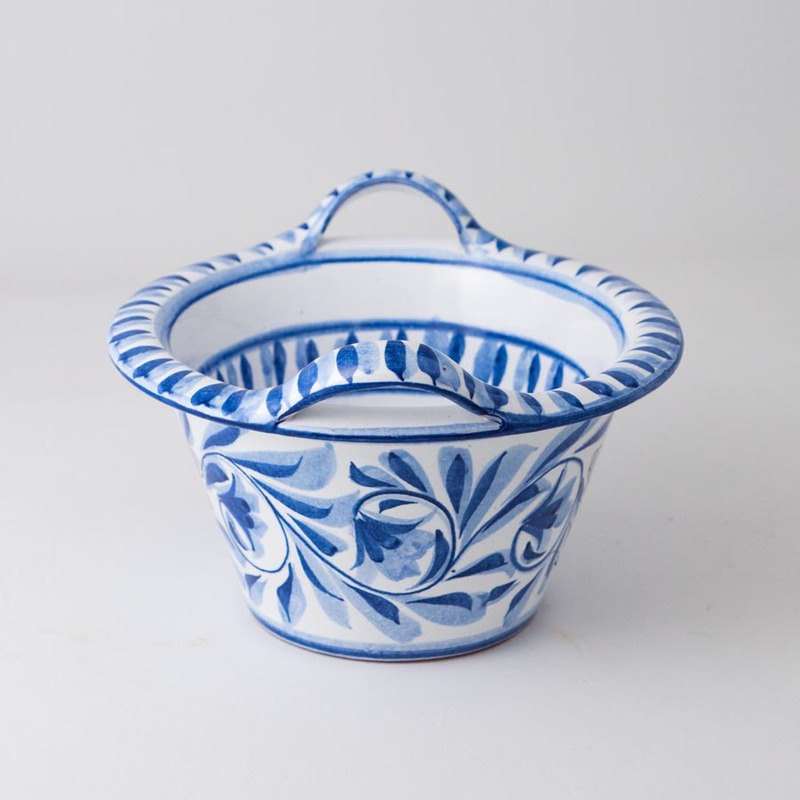 A small sized, wheel-thrown traditional Portuguese alguidar. The word alguidar comes from an arabic root, demonstrating the country's Moorish heritage. This bowl is perfectly sized as a small serving bowl. 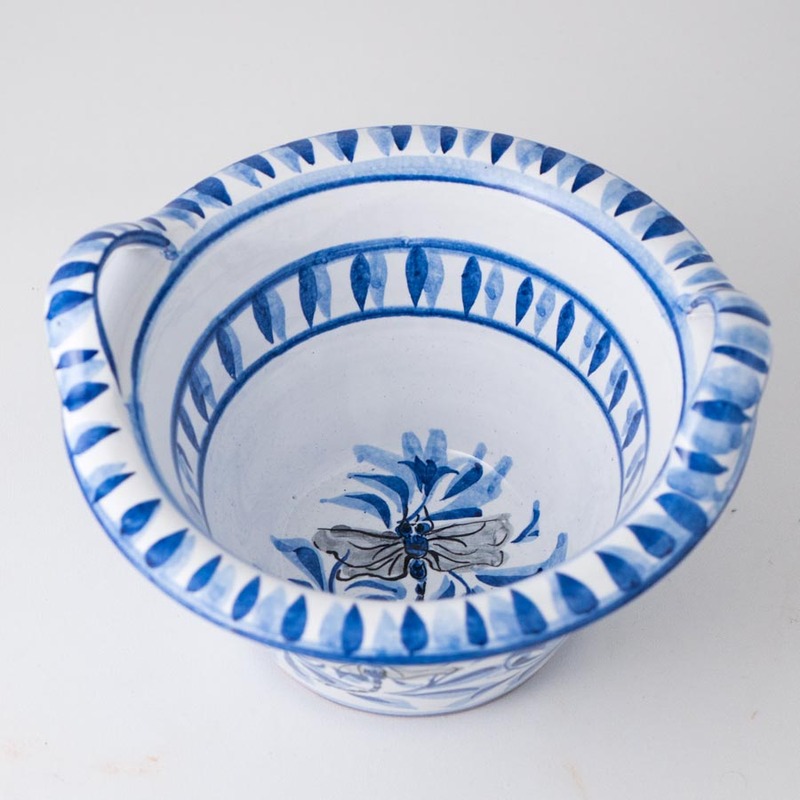 It is hand painted by Carmo dos Santos in a design that features a dragon fly motif on a cobalt blue floral background. Approximate dimensions; diameter: 21cm, height: 12cm.